There are brilliant people among the masses. 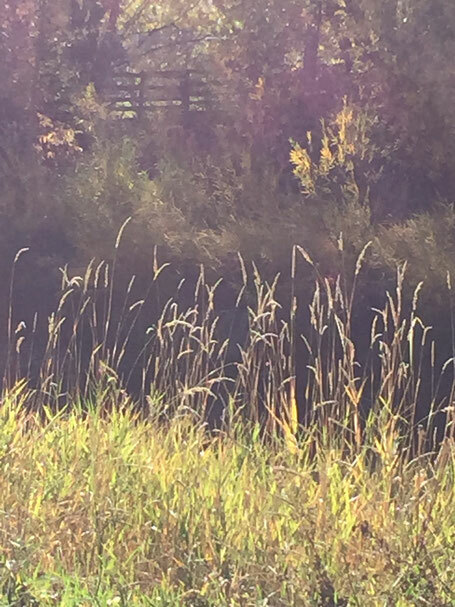 This is an original thought I put out on Facebook, and this is a photo I took through the fall grasses towards a friend's home. I have been lucky to have a very positive Facebook feed. My Friends share the best stuff, or should I say Facebook feeds me the best of my Friends' stuff...not sure how deep those algorithms go! I stop to watch funny cat videos, videos of Friend's kids, videos of new technology, and amazingly compact and multi use furniture. I click through photos of phenomenal trees in the world and snapshots of Northern lights. I spend time on posts from my kids, feeling privileged to be in on the lives they share with their friends. I follow links to read about my favorite celebrities, saving hundreds at the grocery checkout. My own page is a stream of others' good posts. I love reading down my own page every now and then! And every now and then I come up with something myself. I post a photo of the world around me, or a thought, like the one above, that comes to me in conversation about an interesting topic.